Summer is a beautiful season in Texas, especially for several Austin events and attractions. When you’re thinking of things to do in Austin, these five Austin, Texas attractions should be the first on your list to visit. All together they’ll make for a perfect summer day! 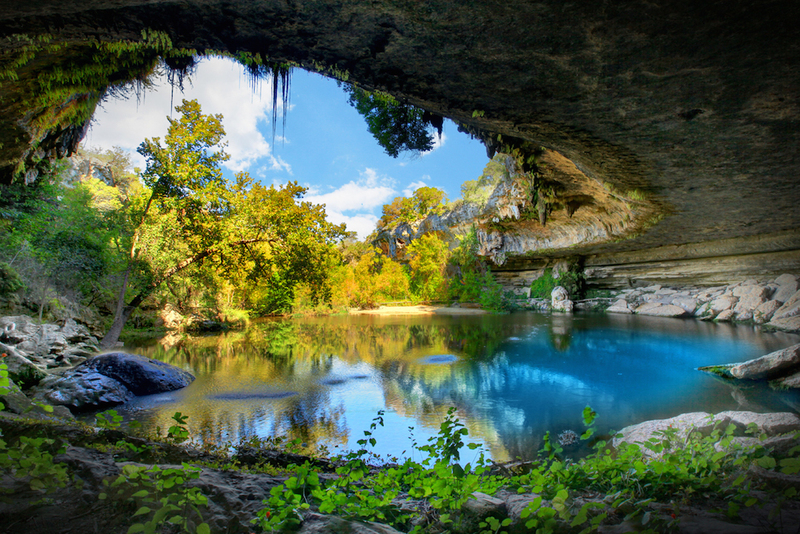 An Austin natural treasure, Hamilton pool is actually a swimming hole created by the waterfall from the Hamilton Creek. Be sure to make Hamilton Pool your first stop of the day because you’ll need to get there early to beat the traffic. Considered the seventh best hiking trial in Texas, Barton Creek Greenbelt has over 7 miles of limestone cliffs, bodies of water, and beautiful foliage. This beautiful landmark attracts everyone from hikers and bikers to the simplest of walkers. After being outside, cool off indoors and explore the Blanton Museum of Art. They constantly have new exhibitions and a calendar full of special Austin events, screenings, live music, and weekly activities. This Austin, Texas attraction is a nationally known shopping mecca! With a perfect view of the Texas State Capitol everywhere you turn and over 150 shops and boutiques, South Congress has something for everyone. Nothing is better than ending the day with homemade pizza! Home Slice is more of an Austin attraction than a local eatery and is one of the most visited within Austin. You’ll be thanking yourself after enjoying some tasty Italian dishes and New York-style pizza for a great price. There are always plenty of things to do in Austin, and the residents of Caliterra in Dripping Springs will have easy access to all the great Austin, Texas attractions. Visit our website today and see what Caliterra living is all about.